Fort George G. Meade is located in Maryland between Washington D.C. and Baltimore. The base is home to the Defense Information School and the US Army Field Band. 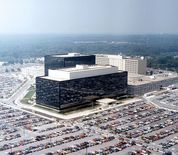 United States Cyber Command, the National Security Agency, the Defense Courier Service and the Defense Information Systems Agency are all headquartered at Fort Meade. The base's Fort George G. Meade Museum houses exhibits that showcase historical artifacts of the Post as well as several historical vehicles including a UH-1H Helicopter. This Fort Meade directory features the critical info you’ll need to navigate through the many facilities and recreational opportunities available on base.